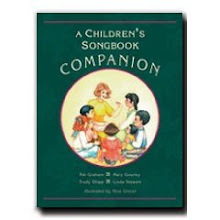 Grandma Music's LDS Resources: Singing is such a happy way to learn! 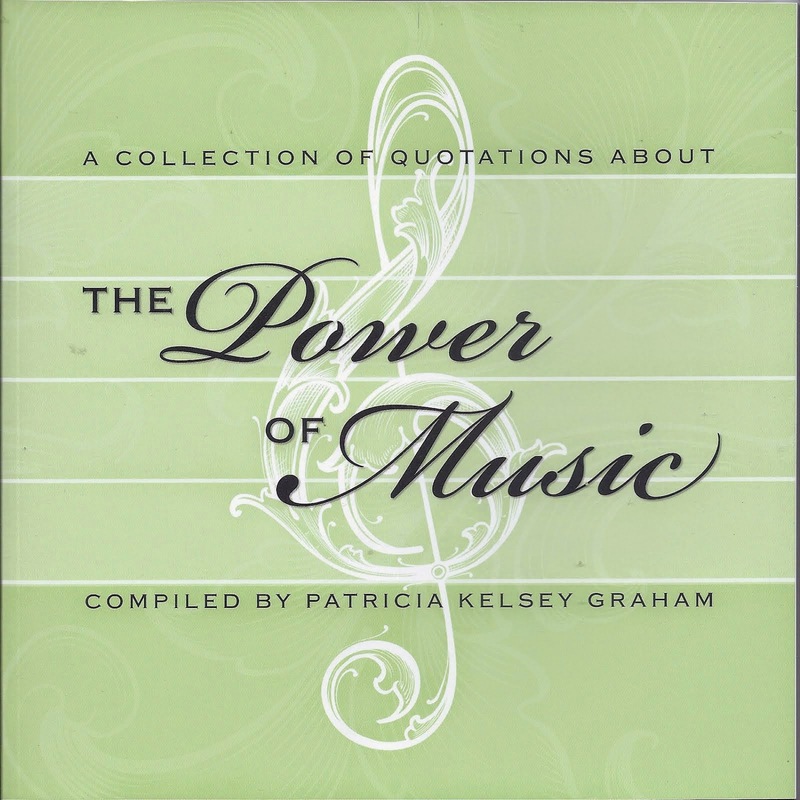 Singing is such a happy way to learn! 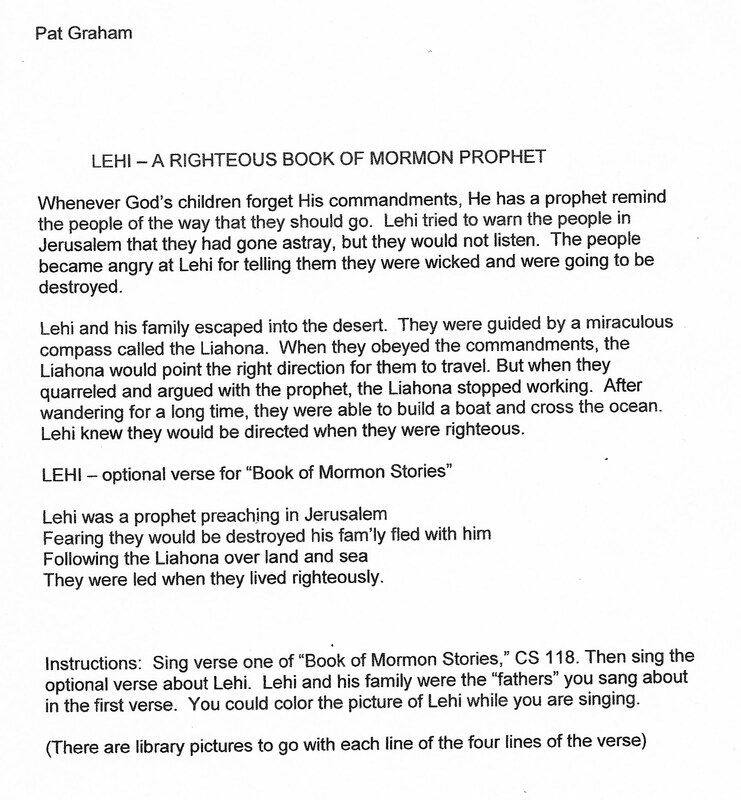 I remember when additional verses were written for "Book of Mormon Stories." 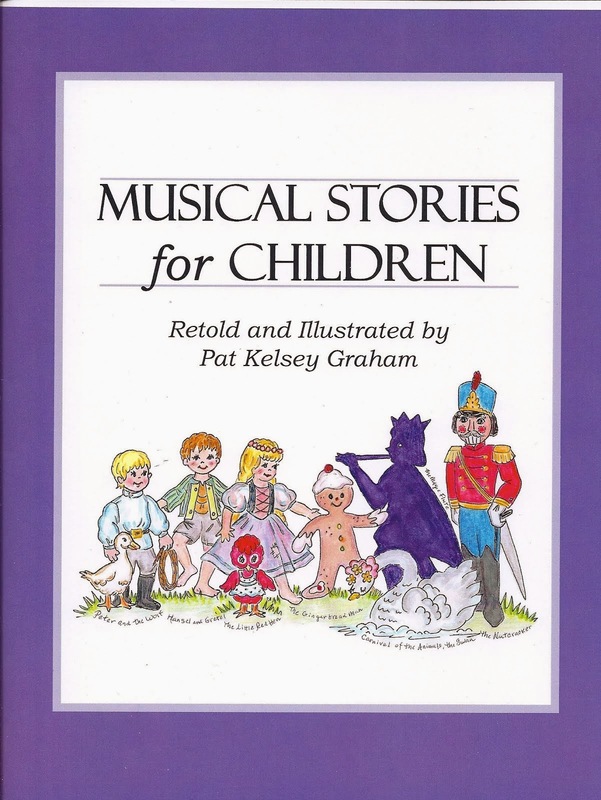 They were published in the FRIEND in 1986 and we were so delighted to include them in the 1989 Children's Songbook. 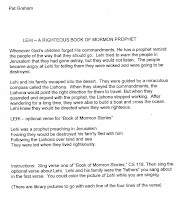 Because the story of the prophet Lehi was part of a Sharing Time for 2010, I wrote a verse about him. 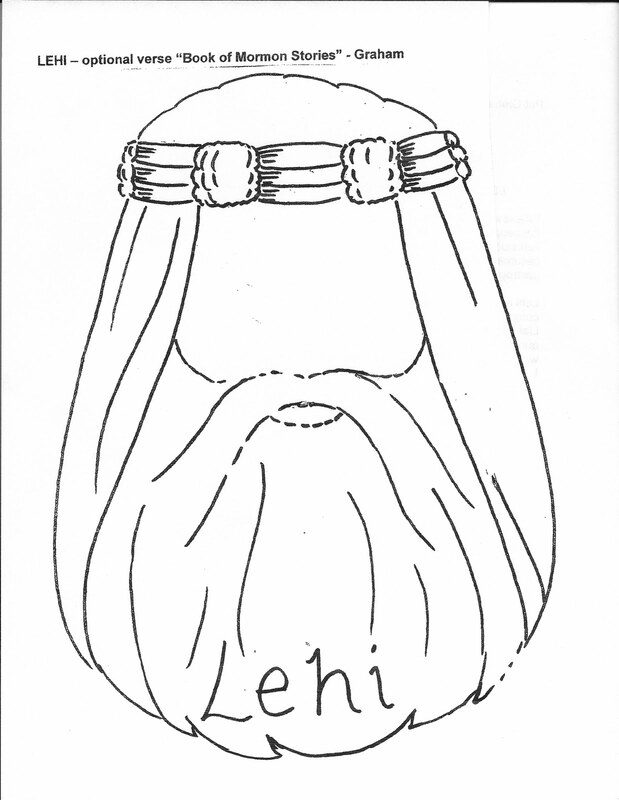 There is a library picture to go with each line of the verse. The "face" for a child to wear should be colored to match the Friberg paintings of Lehi. 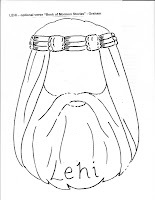 I plan to post "faces" I have drawn for each of the verses to "Follow the Prophet," and also my original verses for the prophet Joseph Smith, Pres. Hinckley and Pres. Monson. Please visit me at least once a month! 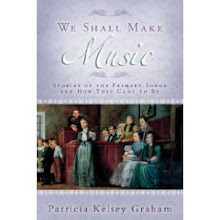 Happy singing from Pat Graham, "Grandma Music"
How do I get the darling Follow the Prophet post to enlarge so that I can get the full size to print? Do I need to receive them in an email? Thanks so much. I love them! !